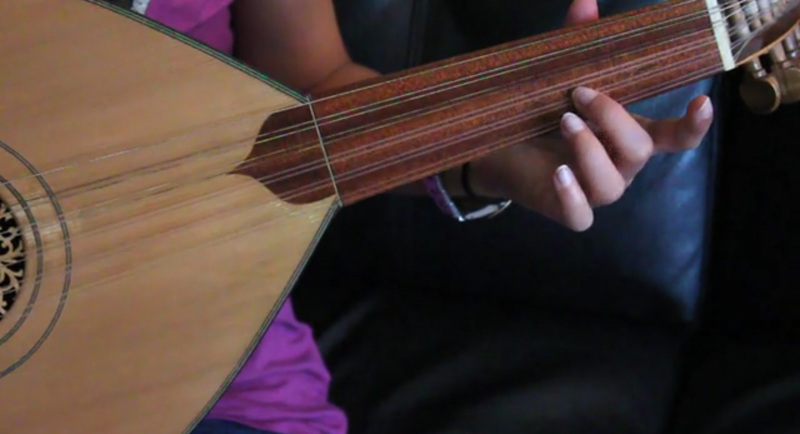 Screen shot from Sara plays the Oud. 09 Feb	This entry was published on February 9, 2014 at 11:22 pm. It’s filed under Documentary, Film and tagged audio post production, audio production, documentary, film, First time, online video, post-production sound, Rhubarb, Shetu Modi, sound, sound editing. Bookmark the permalink. Follow any comments here with the RSS feed for this post.